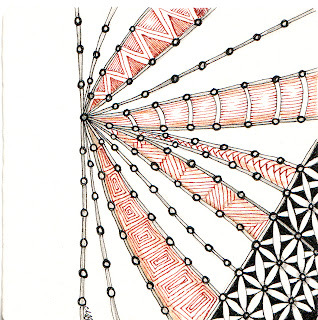 Challenge #73 brought to us by The Diva is to draw the tangle bridgen by Carole Ohl's husband Daved. 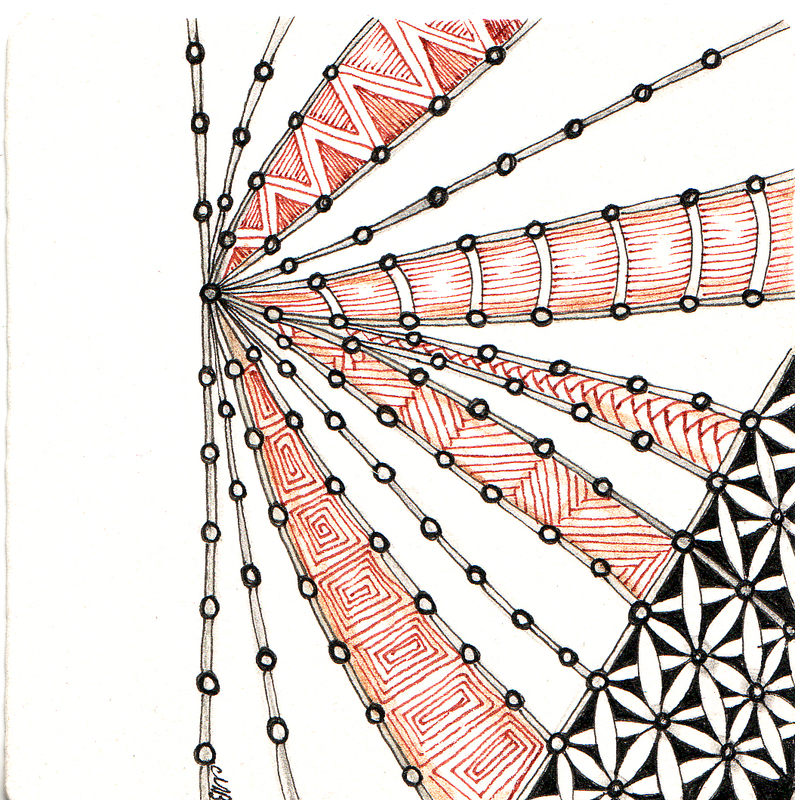 For 9 weeks I am using the official Zentangle pre-strung ensemble tiles for The Diva's challenges. This is the 3rd tile. Thanks Daved for building bridgen! i really like the lower right corner with the flowers - so pretty! Alice the flowers are the tangle called fife, I like the way the petals weave in and out. A unique and contemporary tile, quite striking. Nicely done! It has a clean contemporary feel to it. 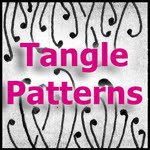 Very interesting how you incorporated the two main tangles. Nice work! Isn't it fun to see how others can make bridgen something totally new, and yours is really fantastic! 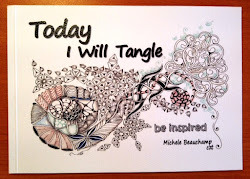 Love how your tangle radiates from the center....great with the color too! So pretty and such a happy look to it. I love the asymmetry in this and how it radiates out. Really nice. So pretty and I love how the Bridgen sort of spawns into the flowers below--beautiful job! Very pretty! Looking forward to seeing the completed ensemble...very cool idea to do 9 week's with the challenges! Very dramatic. All the open space lets you really focus on the design. A striking tile. Can't wait to see all nine. Wow. This is so unexpected, but still beautiful, as always. What a great way to use your prestrung tiles. Takes all the "thinking" out of it. I love fife in the lower right. I really have to try that tangle out. What an imagination you have. Your Bridgen tile is very artistic and so nicely done. Beautifully simple. I love the way you always add just a splash of colour. I love the way the brigden looks like it is laced.